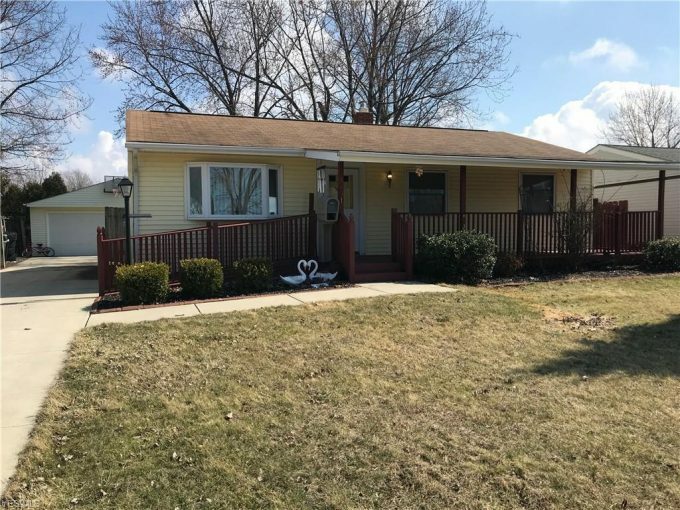 Welcome to this 3 bedroom 2 bathroom ranch home in Eastlake! This home gives you close access to shopping and freeway. As soon as you walk up to the home you have a great sized wooden deck! In the back, you have a fenced in backyard with a two car detached garage. Inside you have an eat in kitchen with a generous amount of cabinet & pantry space. The full basement offers fresh paint with plenty of space for a second living room space & even more storage! Furnace/air conditioning/hot water tank/April air and humidifier are new as well!